The exhibition, which is the largest monographic landscape architecture one in NBM’s history, takes visitors from their early residential landscapes to their more ambitious civic works. We see 28 of OvS’s residential and civic projects, explained with 50 fantastic large-scale photographs, original plans and drawings, and the historic artworks that played an important role in their development. 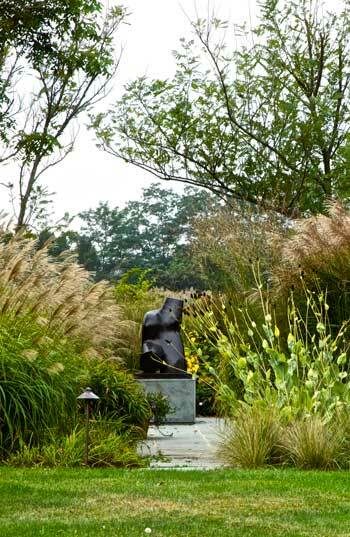 Three generations of OvS landscape architects’ work are included. Given OvS designed more than 1,000 landscapes since 1975, it’s clear how much work went into curation. 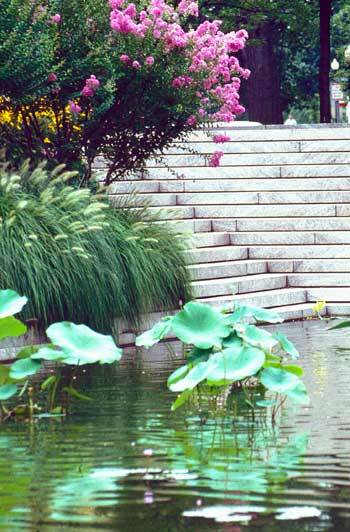 Birnbaum then asked us to focus on the Federal Reserve Board Garden in Washington, D.C., which was a “hinge point” that showed how the New American Garden aesthetic could be scaled up in a civic setting. 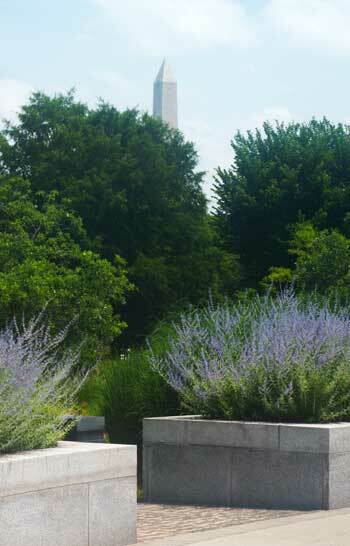 Federal Reserve Board Garden / Photograph © Amy Lamb, 2015, courtesy The Cultural Landscape Foundation. 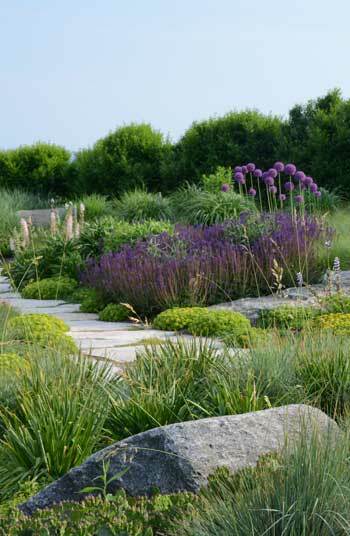 Another way the New American Garden style is evolving: OvS is always discovering and applying new plants, even from places as far as South Africa. Sadly, Birnbaum said many of OvS’s landscapes are under threat. Pershing Park in Washington, D.C., which OvS created with landscape architect M. Paul Friedberg, FASLA, may get bulldozed if a new National World War I Centennial Commission has its way. Explore a companion website for the exhibition created by TCLF. 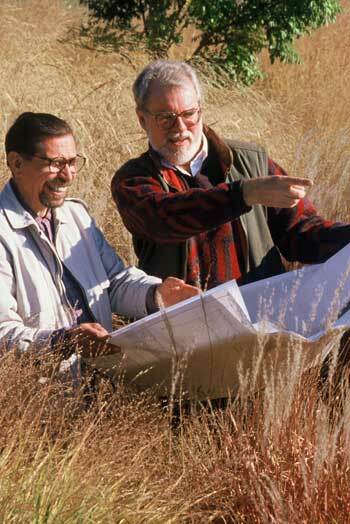 Not only did these two introduce wondrous creations, they contributed to changed and improved attitudes on open space. We will thank them forever.